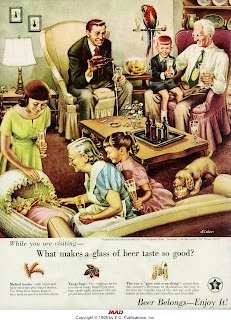 Chicken Fat: SUNDAY FUNNIES!! 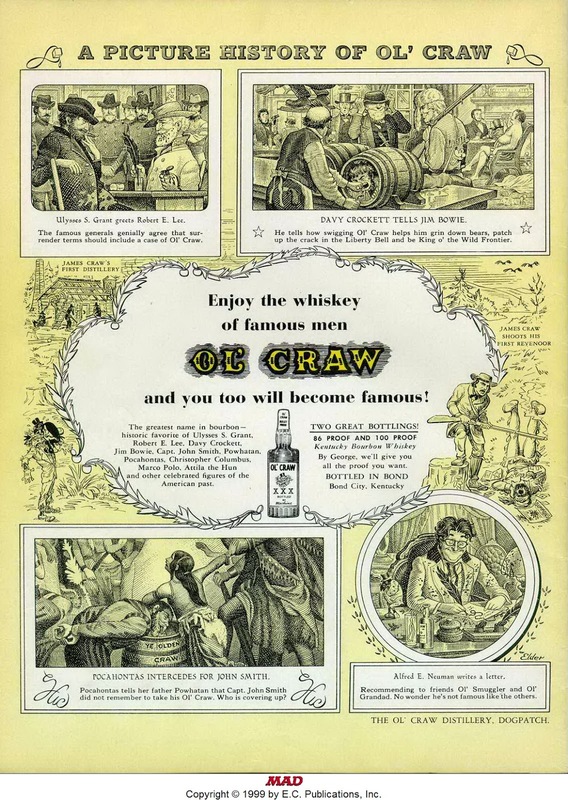 MAD Takes on Booze Ads! Remember, click on each to make it readable and hopefully understandable. 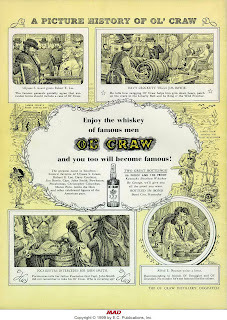 Remember the Old Crow Whiskey ads on the back covers of men's magazines? 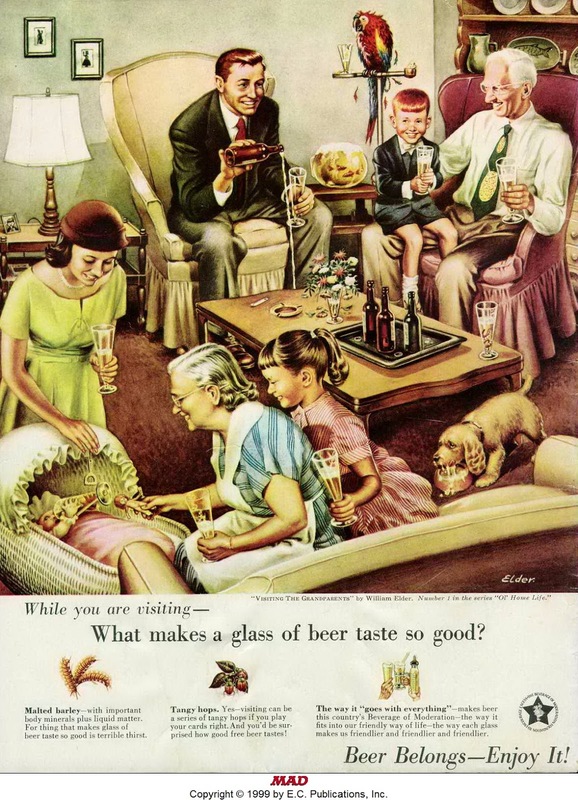 And also remember the ads to promote beer associations ads promoting beer drinking in a family atmosphere? 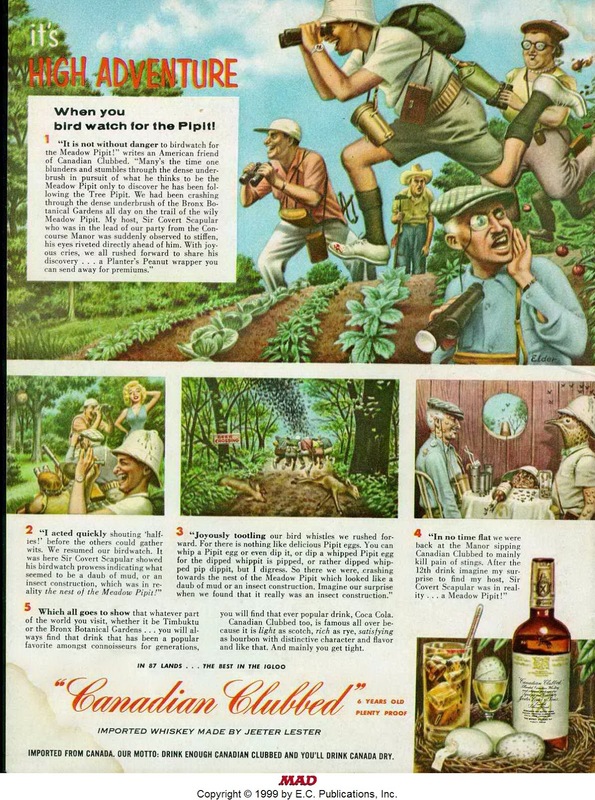 And don't forget the Canadian Club adventure ads! 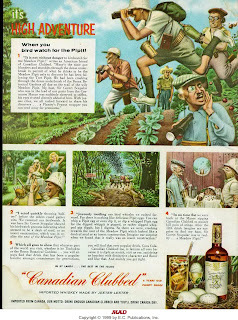 Here is MAD Magazine of the 1950s lampooning those ads. All three arts are by Will Elder.